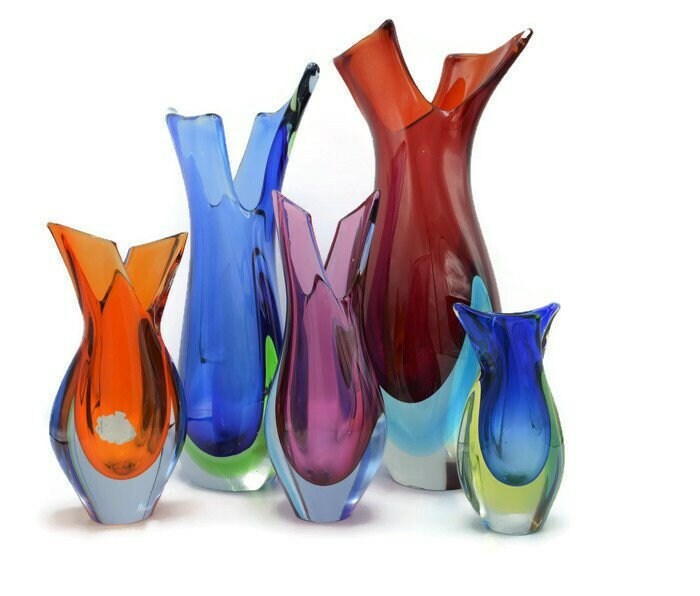 We acquired a superb collection of these curly shaped vases. 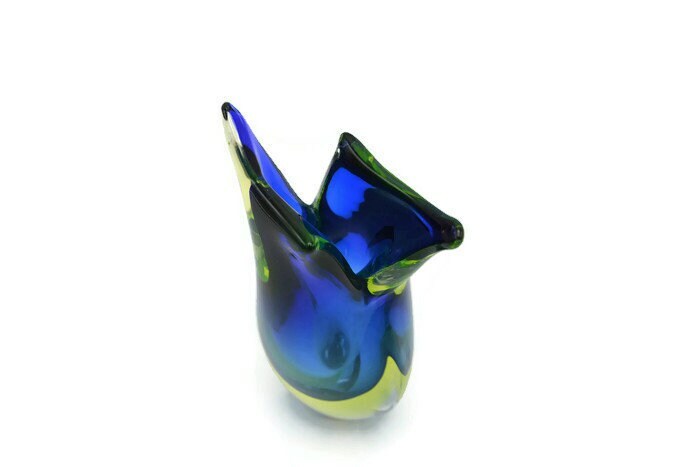 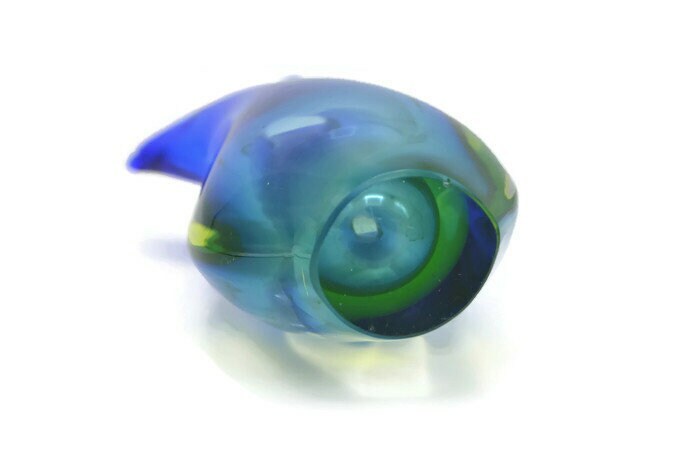 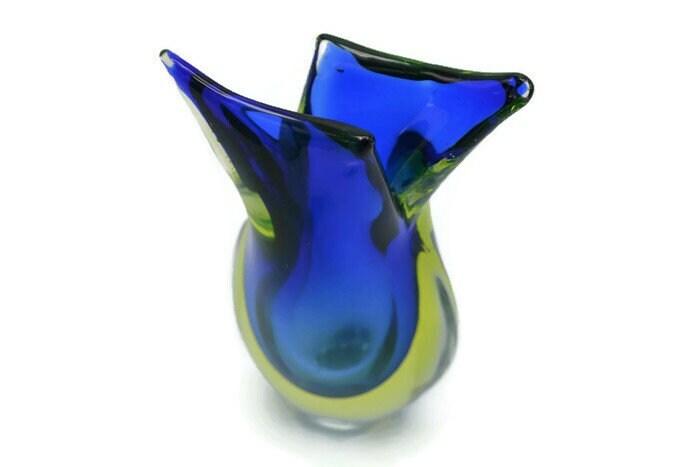 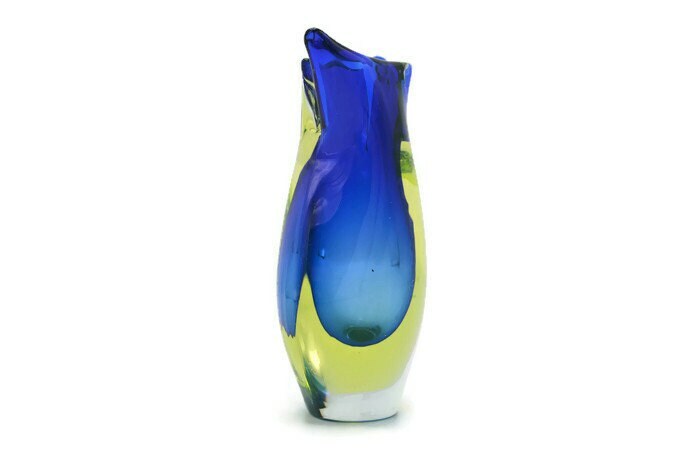 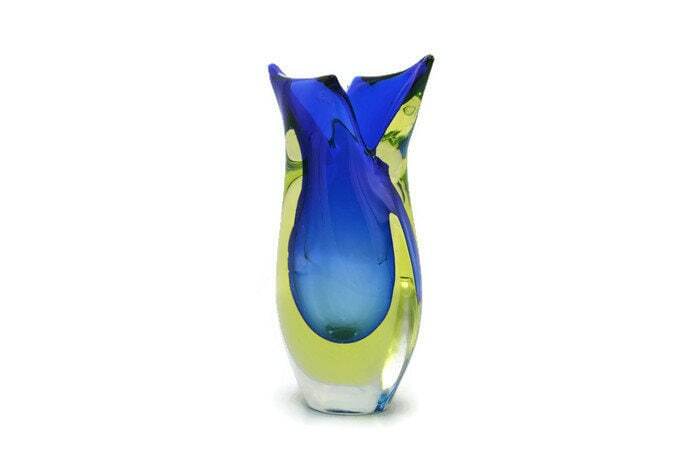 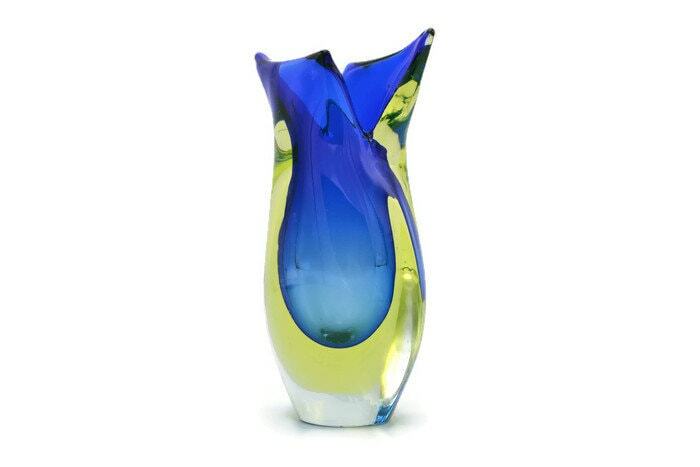 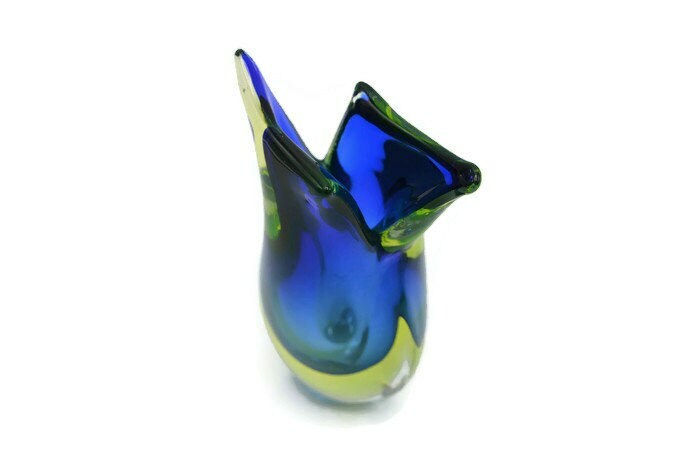 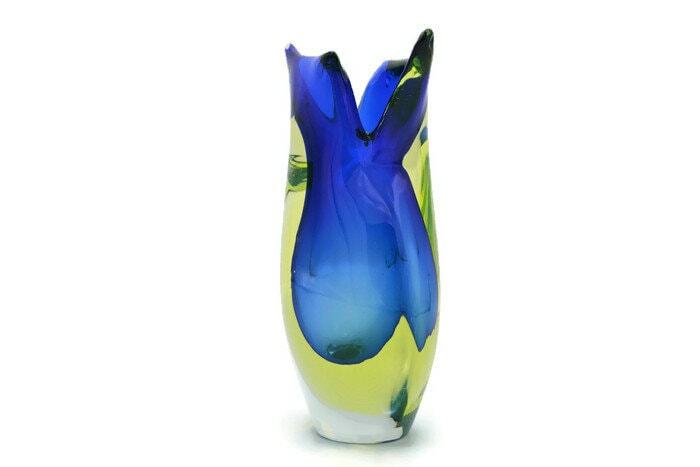 The design is by famous glass artist Flavio Poli and made in the late 60’s early 70’s by Seguso Vetri d'Art in Murano and with a nice ‘Sommerso’ glass technique. 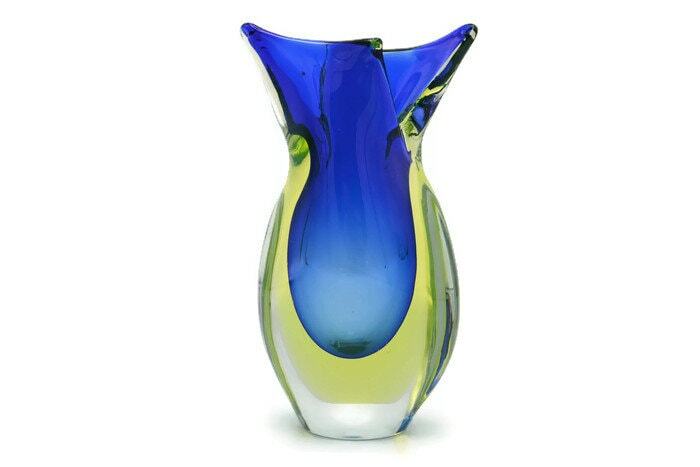 Great vintage condition, wear consistent with age.